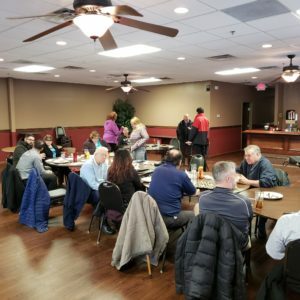 Business networking today at the New Haven Chamber group | Shane Grantham Consulting, Inc.
We never know who will show up at the New Haven Chamber Group and I like the unpredictability. 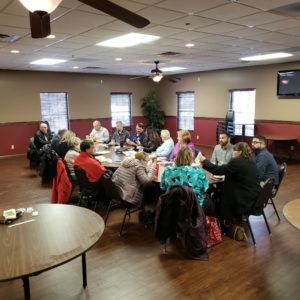 This happens because we don’t require a reservation every meeting and we make the group open to everyone – even businesses from the same category. Some of us are there almost every meeting. Some are there about once a month and others are less frequent. 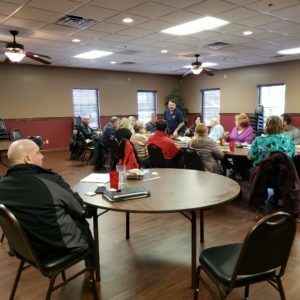 My favorite thing about our group is the different mix of people at each meeting. 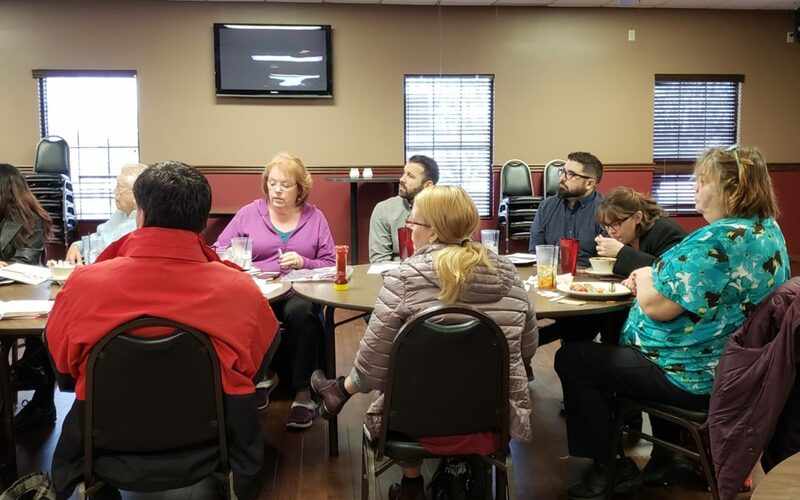 Today we had nineteen people with two new attendees. We’re lucky to have the upstairs ballroom at Rack and Helen’s all to ourselves every Tuesday at Noon. The real networking happens after our one hour (or less) meeting. Come and join us and share your business with us. As a bonus today, I knocked over my glass of water during the meeting.